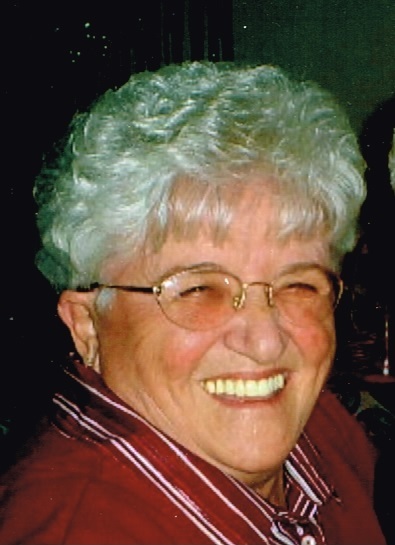 Obituary for Rose Marie (Benoit) Richard | Brown Funeral Homes, Inc.
Rose Marie Richard, 84, of Cumberland, RI, passed away peacefully at home while surrounded by her loving family. She was the loving wife of Fernand R. Richard for 65 years. She was born in Pawtucket, a daughter of the late Noel & Prudencille (Rousseau) Benoit and stepmother the late Lea (Bernier) Benoit. Rose Marie worked for Greenhalge Mills and Texas Instruments for 20 years. She loved making baby hats and gifting them to the children at Women & Infants Hospital. Rose Marie also enjoyed singing opera for St. Joan of Arc Church. Besides her husband she is survived by her children, Denise Vachon and her husband Paul, Rita P. Lemieux and her husband Raymond and Pauline Richard, grandchildren, Justin Vachon, Cherie Durand, Stephen Belleville, Jason Richard and Nicole Belleville, Kevin Lemieux, Kara Salinas and Kyle Lemieux. Also her great grandchildren, Salmane Sokida, Cole Hardy, Jasey Vachon, Rowan Belleville, Christian Belleville, Jaxson Vachon, Brianna Belleville and Kaitlin St. Laurent. She was preceded in death by her son Roland Richard and her brother Noel J. Benoit. Her funeral will be held Tuesday, April 23rd at 9:30 am from the Keene-Brown Funeral Home, 445 Greenville Rd., North Smithfield with a Mass of Christian Burial at 11 am in Holy Spirit Parish, 1030 Dexter St., Central Falls. Burial will follow in Resurrection Cemetery in Cumberland. Calling hours will be Monday, April 22nd from 5-8 pm.